We were particularly pleased to be able to help Baildon Methodist Church and Baildon Fairtrade Group with the design and print of these coasters (or beer mats, depending on your preferred tipple). They are being distributed across the village to help remind people of the importance of choosing Fairtrade products. Baildon is a Fairtrade town and many shops, cafes and other businesses in the village have signed up to show their support. Assembly Marketing is one of them – so for example, we’ve pledged to only buy Fairtrade tea, coffee and sugar. 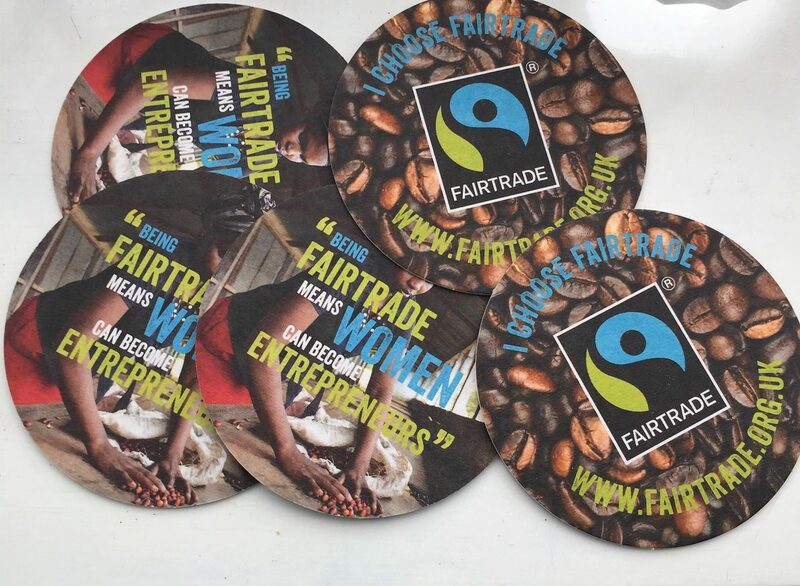 You can find out more at Baildon Fairtrade group’s Facebook page, and look out for those coasters!